If you have been considering jumping into the virtual reality environments that are now available thanks to the availability of the Oculus Rift and HTC Vive headsets but have been put off by the $599 and $799 prices. You might be interested in a comprehensive DIY guide that shows you how to create your very own DIY Steam VR headset for a more affordable price. The BIY VR headset guide has been created by Niero over on the Destructoid website and provides and great run through of everything you will need to create your very own virtual reality hardware to experience the games and applications that are now available, check out the video below to learn more. If you want to kind of mess around with Steam VR but aren’t ready to fully commit yet, you’ll love this. 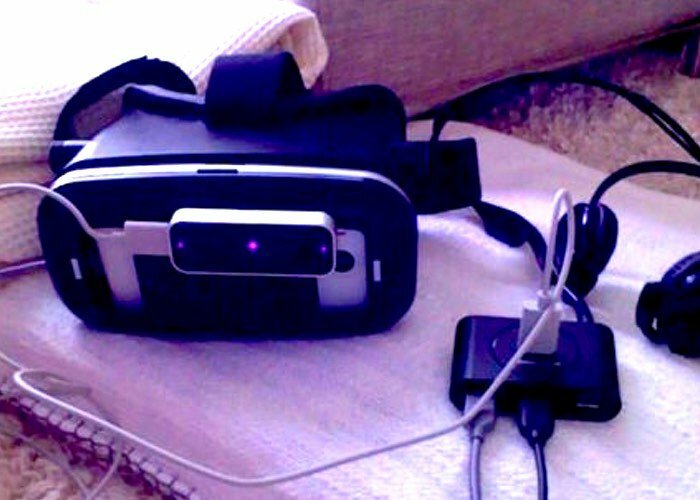 In this tutorial, I’ll teach you how to set up our own DIY Vive-compatible Steam VR controller using a Cardboard headset, Leap Motion, and a free Android app. Yep, you can play many of the big PC VR games, no wimpy stuff. I’ll teach you how to set it up, along with photos of some of my laughable attempts to build an affordable VR headset that worked with Freetrack (other head-tracking software). Here’s the one-minute version if you want to tinker yourself: Install the Riftcat on the PC and Mobile, install the newest Leap SDK, install the SteamVR Riftcat driver while Steam is completely closed, install the StreamVR Riftcat Leap Driver, install Oculus marketplace, install Revive, and squeeze all your USB cables together and get your USB Tether on and fire up all the apps, Riftcat first. Poke around with the Vridge settings at the bottom of that page’s tab when you hit a bug or latency that makes you want to kill yourself. Do skim the rest of this guide for what ails you. Good luck! For more information on building your very own VR headset jump over to the Destructoid website for the full detailed guide following the link below.